Running & Writing…A Race Worth Finishing! I did it! I submitted a pitch and the first chapter of my book Love on the Run to Harlequin’s So You Think You Can Write contest. Over 500 submissions were received, and now I wait to hear if I’ll be one of the 50 to be chosen to submit a completed manuscript. The complete manuscript will be about 85,000 words. Yes, 85,000 words. It’s a little daunting. I’ve been writing a little bit more since I submitted my first chapter a week ago, but I still got a long way to go. It’s hard scheduling in time to write with my already busy stay-at-home mom schedule ( you know what I mean). Then I realized that writing is a lot like running. 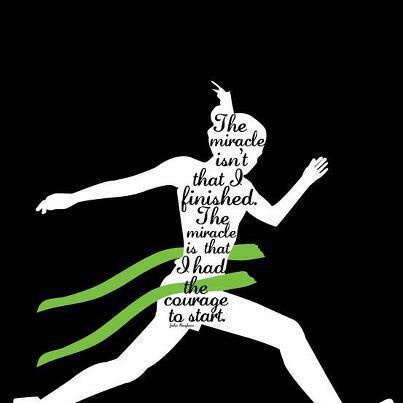 When I first started running, I started slow, but steady. A little bit each day. I had a goal to run a 5k. I had never run a 5k before, but it was a goal I wanted to accomplish. My goal is to finish writing this book whether I win the contest or not. I have started several books, but for some reason or another I never finished them. Things, life, etc. got in the way. This time will be different. I’m setting a goal to write a little bit every day. It’s like I’m training for a race. I need a finished manuscript to submit to publishers. I’ve partnered with other writers and you to keep me accountable. I learned in my early days of running that accountability is the key to a successful finish. You need people cheering you on, and telling you that you can do it. Remember when you were a kid, and teachers/parents would say “If you put your mind to it, you can do it!” They were right. Trying a new workout, running a race or just choosing to eat healthy can be scary if you’ve never done it before, but once you try you’ll be happy you did. I could use a little cheering. You can read my submission at Love on the Run and share your feedback. I’m cheering for you in whatever race you’re in. Comment below, and others can cheer for you too!